This is sponsored post for DMC. All opinions are my own. I just finished another hand embroidery design that I’m sharing with you today. 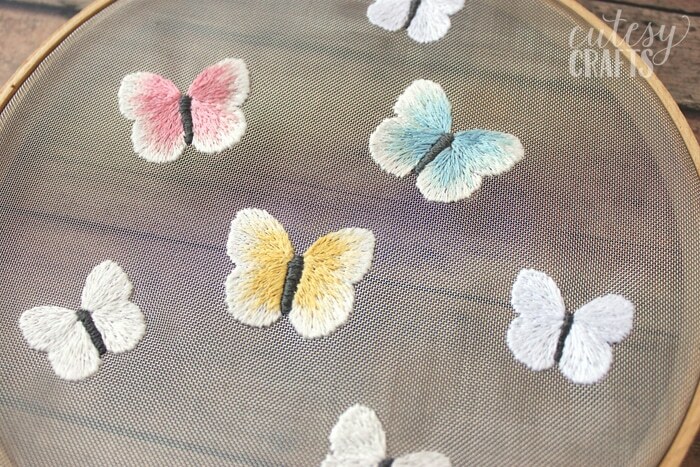 I used the long and short stitch to make these pretty butterflies. Not only did I get to try out a new stitch for this project, but I also got to try a new stitchable mesh fabric from DMC. I love how the see through mesh makes it look like the butterflies are fluttering around. I plan on hanging this hoop in my girls’ bedroom, which will go perfectly with their decor. To transfer the design, I used a very thin permanent marker. Just put the mesh over your pattern, and trace. The dotted lines in the middle of the wings are guidelines for your long and short stitch. Start by outlining the entire shape with a split stitch and then do a long and short stitch to fill it in. 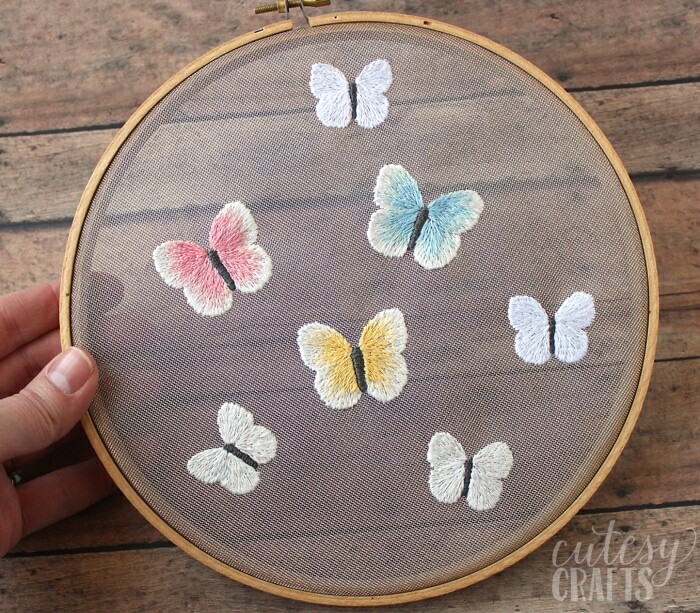 For the colorful butterflies, do a single row of white, a single row of the lighter color, and then fill the rest of the wing in with the darker color. Stitch over your split stitch to hide it. 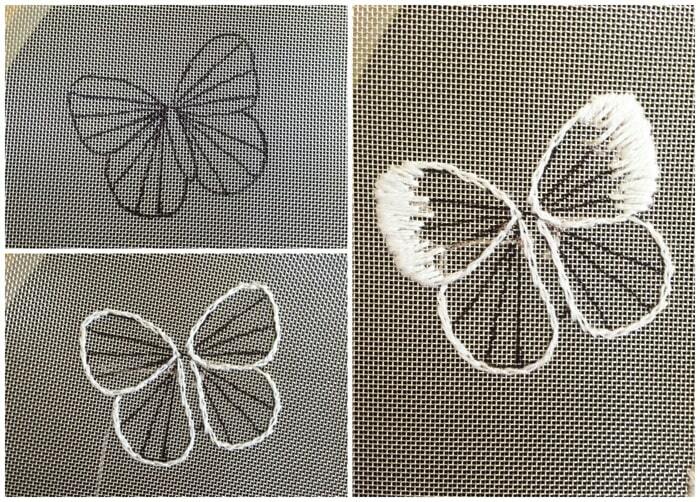 The center of each butterfly is a satin stitch that I also outlined in a split stitch before filling it in. 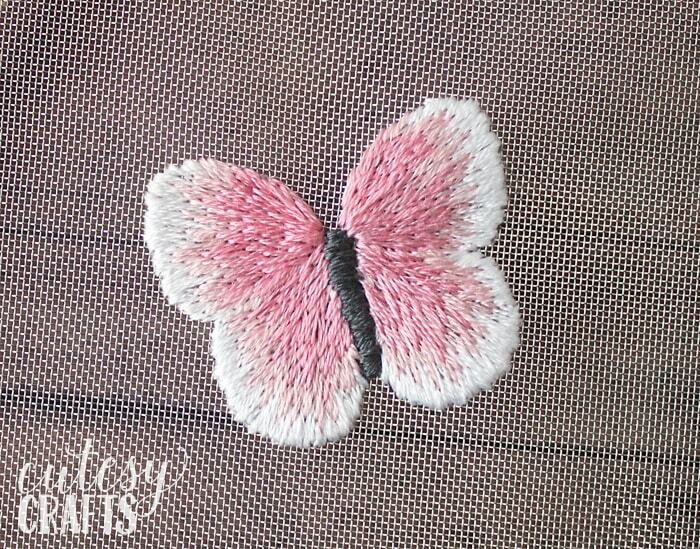 You can’t be very precise with your stitches since there is sort of a larger weave, but the butterflies still turned out beautiful! I’m excited to try out more things with the mesh fabric! If you love embroidery as much as I do, make sure to check out all of these blogs for new patterns and ideas. Everyone will be sharing projects using DMC’s new cork, mesh and cuff products. Your embroidery skills are awesome! The mesh is definitely a product I’d like to try, but I’d need to brush up on my stitching first! Love those butterflies! Thanks Kathy! It was a lot of fun to try a new fabric and a new stitch. I wasn’t sure if I could pull off the long and short stitch with shading, but I was able to get the hang of it pretty quickly. Jessica!! 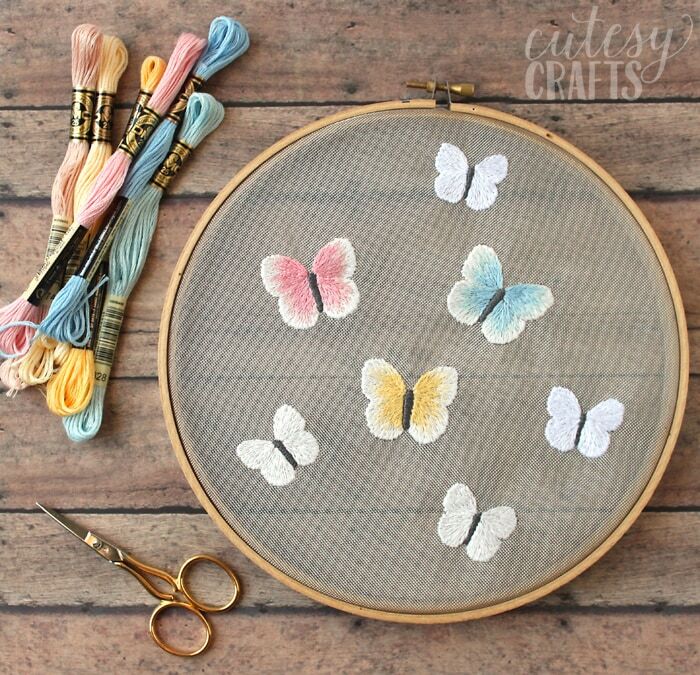 I am so in love with these little butterflies – your stitching is gorgeous!! They look so great on the Mesh fabric too! LOVE!!! (name of the technique escapes me right now). away from it. Your butterflies are beautiful. for them. Thanks for sharing. Thanks Mary! Ooh, that sounds like it would be pretty! I might have to try looking it up for inspiration. the cork or the cuffs. Beautiful. Love your butterflies. I want to try the cuff. Thanks Barbara! I have a cuff that I’m excited to try out too! What a fun project. Your butterflies are so pretty. Thanks for sharing your amazing project. Thanks Caitlyn! That sounds like it would be really neat! I bought a watercolor set that I’ve been dying to try out. I thought it might be neat to somehow combine watercolor with embroidery. WOW.. that is one beautiful hoop art. LOVE those butterflies. The details are fantastic. Thank you for the tutorial. Thank you so much Helen! The color shading was a lot of fun to try out on the butterflies. Love all the new materials to play with! Can this be done using punch needle embroidery? I’ve never done punch needle embroidery, so I’m not sure how it works. Sorry I can’t be more help. 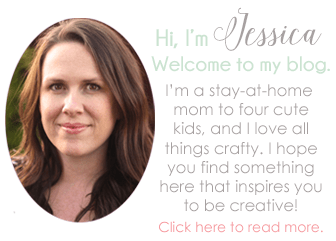 Jessica I am very impressed with your blog. You have a way of explaining the crafts you make, which are so beautiful. 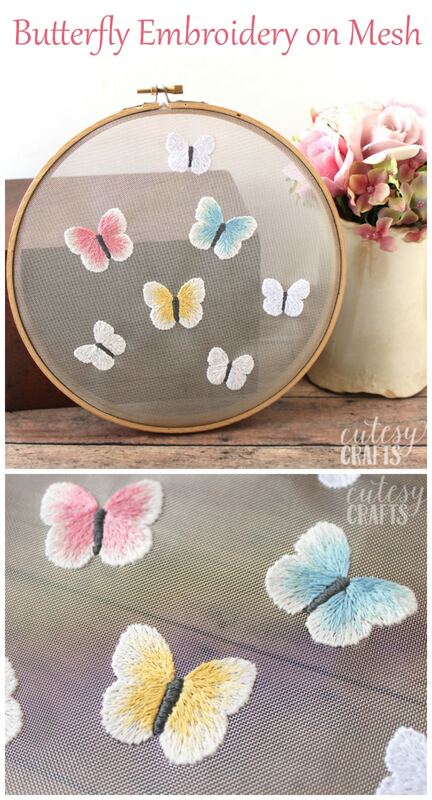 You also do some very beautiful embroidery.